Quebec’s maple syrup producers federation was recently granted more than $110,000 in federal funding to study the use of RFID as a traceability tool, reports Manitoba Cooperator. 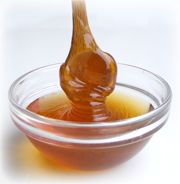 The Federation des Producteurs Acericoles du Quebec received funding from the federal Canadian Integrated Food Safety Initiative to study the use on maple syrup barrels to improve product quality and origin labeling, and better movement control. According to a government release Quebec moves between 160,000 to 225,000 barrels of bulk maple syrup each year.